Plug the power cord back into the console, and then plug the power cord back into the electrical outlet and the power supply. If your power supply light is still flashing orange, solid red, or unlit, your power supply needs to be replaced. 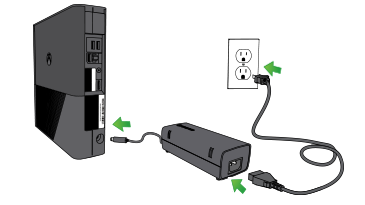 You can order a replacement Xbox 360 power supply from our Xbox Online Service Center. Console registration is required to replace the power supply under warranty (the power supply warranty is the same as your console warranty).